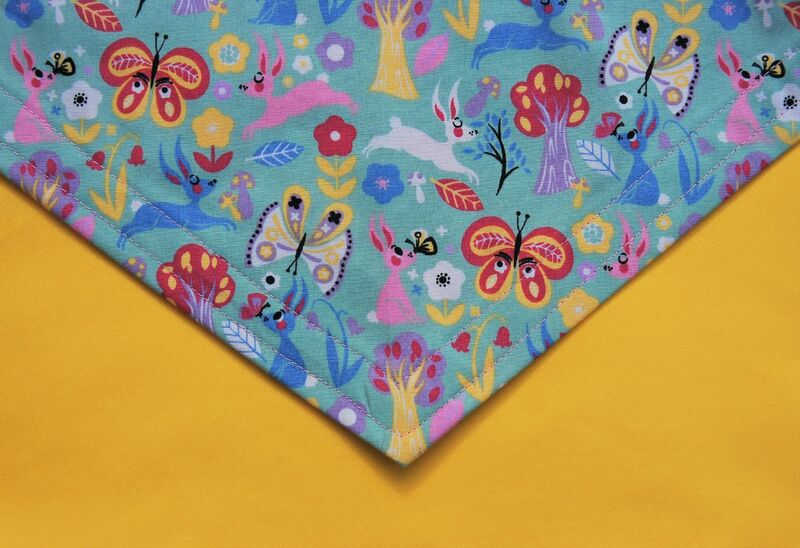 A gorgeous Enchanted Forest dog bandana! 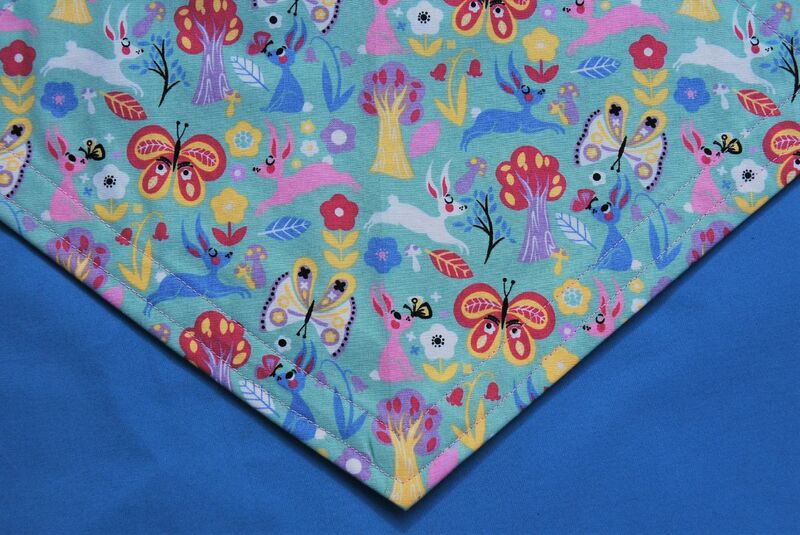 This beautiful design has a cotton panel of soft green, with a lovely print incorporating pink and white rabbits, butterflies, trees and toadstools. 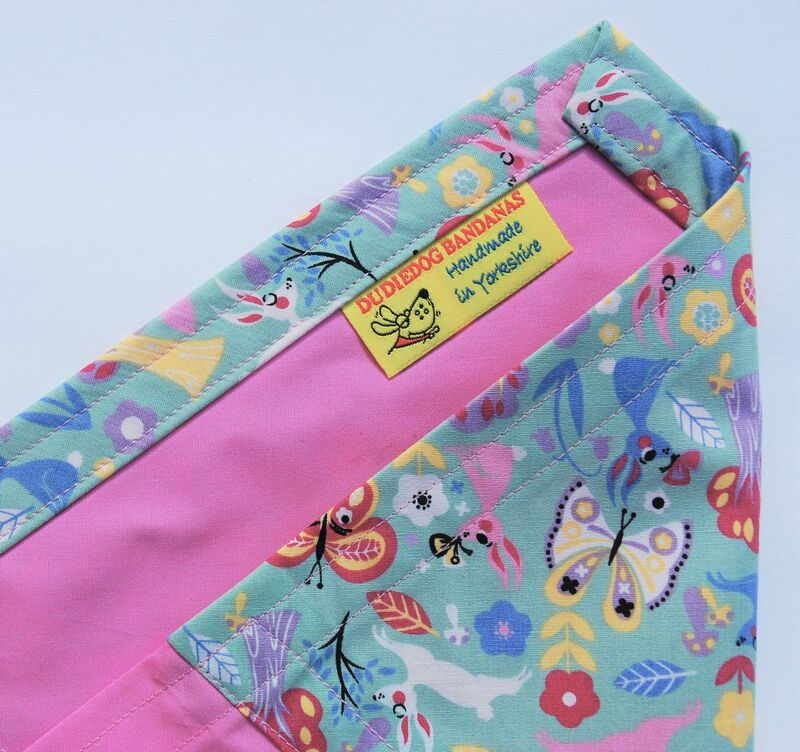 The sides/ties are made from a super quality cotton poplin in a complimentary colour....you can choose pink, yellow or blue. 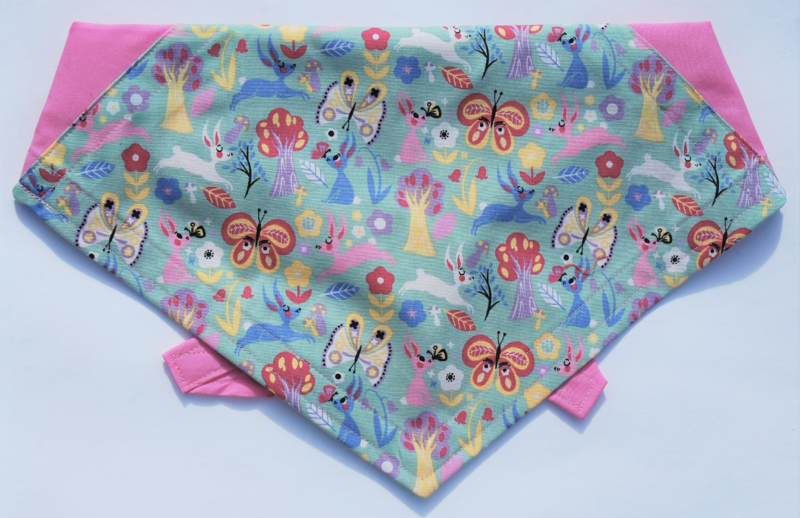 This is a perfect Spring accessory for any dog! 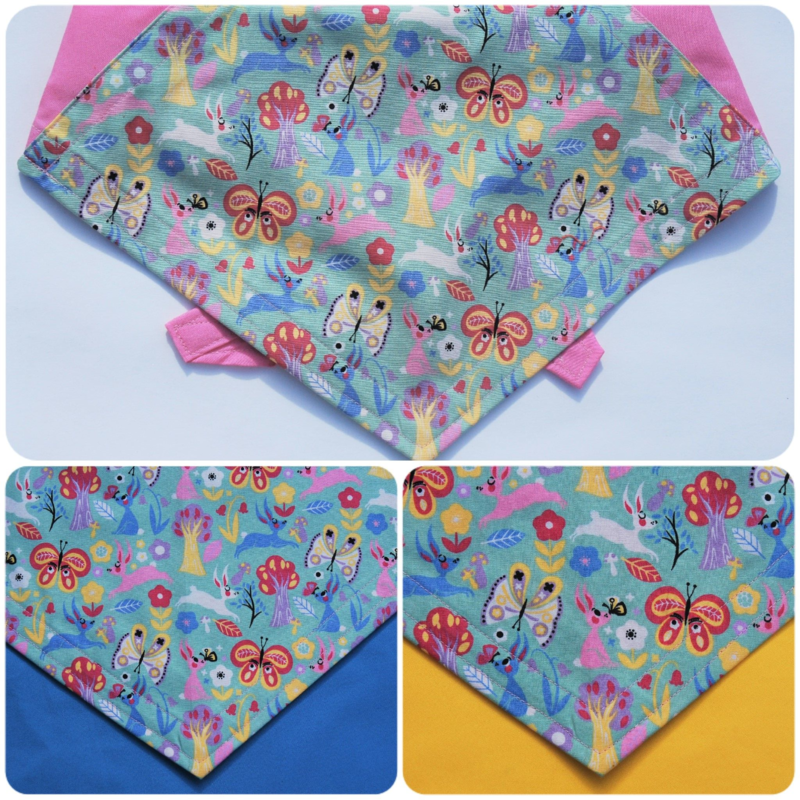 It's also a perfect doggy gift for your 4 legged friends! "Bought this for my puppy shih tzu and she looks so cute wearing it, I'll take a pic once she's bathed and clean, typical puppy getting into everything and looks really scruffy ha ha"